Lou Bopp's work is going places — literally. The St. Louis photographer's shot of blues musician Jimmy "Duck" Holmes is now a Forever stamp, released by the U.S. Postal Service last Friday. Originally taken in 2009, the photo shows Holmes' hands as he plays a six-string acoustic guitar. The stamp honors the 200th anniversary of Mississippi's statehood. Regarded as the birthplace of the blues, Mississippi is also the birthplace of Holmes, who's gained fame not just for his guitarwork, but also as the proprietor of the Blue Front Cafe, a landmark joint on the Mississippi Blues Trail. 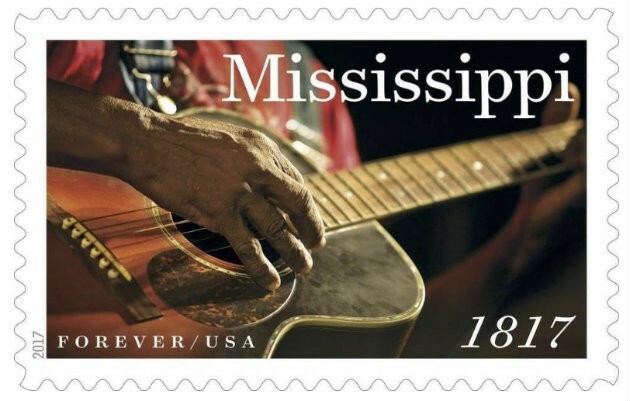 The Mississippi Statehood Forever stamp. when he took the photo of Holmes. "I was just trying to capture the last of the older blues musicians, because really nobody's coming up behind them," Bopp tells the RFT. He made a goal to photograph as many of them as he could and captured the photo of Holmes when he was playing at an annual festival in his hometown of Bentonia, Mississippi. About a year ago, Bopp was approached about the photo being used for the stamp via email. He initially thought someone was playing a joke — but of course, that soon changed. "I shoot mostly commercial and advertising jobs, so this is a little bit more gritty for me and more photojournalistic. So it's kind of nice to be recognized in this way," Bopp says. He works in both St. Louis and New York, but the self-professed travel junkie has always been drawn to the food and culture in Mississippi. "I'm always working on something in Mississippi. I don't know what it is," he says. He has completed two other projects in the Magnolia State, a documentary of Mississippi juke joints and a web series on travel through Mississippi. 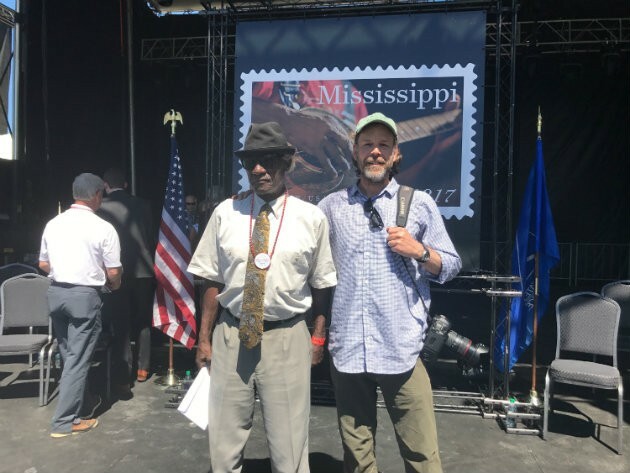 The stamp was unveiled Friday at a ceremony in Gulfport, Mississippi, with both Bopp and Holmes present. You can buy the Mississippi Statehood Forever stamps at usps.com/shop, by calling 800-STAMP24, or visiting a post office. 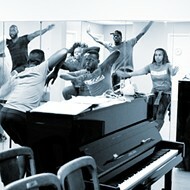 To learn more about Bopp and his work, visit loubopp.com.